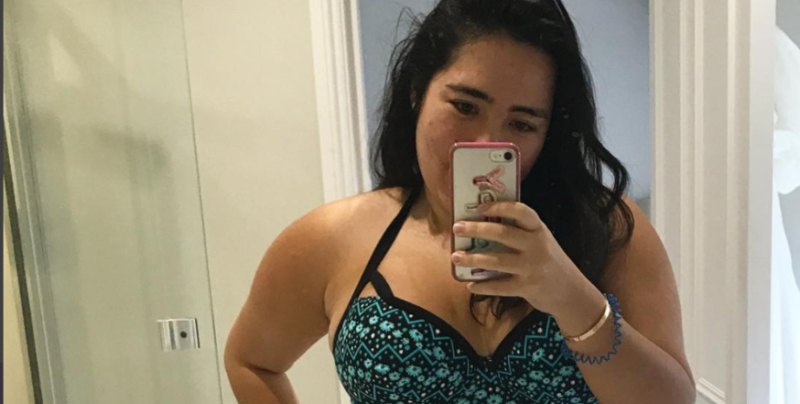 When I found body positivity, no one talked about scars. It was 2014 and I couldn’t find a single account or even a post about it. There were multiple of hashtags about fat, but not a single one for scars. That’s why I started #ScarredNotScared cause frankly every time I commented about it on someone’s page, my comment was either ignored or deleted. It frustrated me that marks in relation to weight were always discussed, mainly stretch marks and cellulite but never scars. Most of you have grown up believing you have body issues that no one else has, but in the last 10 years, if you wanted to, you could’ve searched hard enough on the internet to find just one person with the same problem. It made me wonder if I was imagining it. Was I making a big deal out of nothing? It took me until 21 to see a person with a scar outside of a hospital setting. With all this info, you would believe, Scarred bodies are the minority right? Do you know how many people go into hospital each year? It could be that scar on your finger from cleaning a knife too quickly or a scar on your knee from falling over when dancing too vigorously, (Both might or might not be personal examples) but we all have scars. If anything, Scarred Not Scared has proved that to me. Yours might not be as big a conversation as mine but the likelihood is you HAVE had a conversation about it, even if it’s being asked out of curiosity “oo what’s that from?” “What happened?” We all aren’t that different. We all have bodies painted with marks and scars from this human experience we call life. So I hate to say it but even if you didn’t know it… YOU ARE SCARRED NOT SCARED TOO!